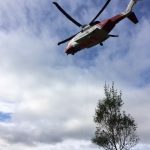 Incident Details: A couple in their 60s, walking the Coast to Coast route, became lost near the hause at Greenup Edge, and ended up descending into Wythburn. They were unable find a way out, so the Team sent out a group with three search dogs to find them. 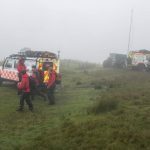 They were duly located by Search Dog Rona in a sheepfold about halfway up the wetter section of Wythburn just after midnight, after their torch was spotted from the other side of the river. They were escorted down to the car park at Steel End to rendezvous with a friend. 12 Team members – 3 hour 58 minutes.